If the thread is marked as English, you all should write in that language to aid Malik to better understand the commentaries. You're right, I've made some quick and dirty translations. gflorez escribió: If the thread is marked as English, you all should write in that language to aid Malik to better understand the commentaries. But it's a significant thread, so I do not think you all need to write in English. 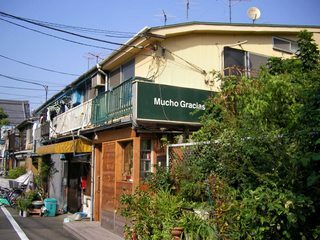 Direct translation from Spanish to Japanese is terrible, but I can understand the rough meaning by reading translation to English. Of course, if you write in English, I am really saved. jltursan escribió: Yes!, it's a very old version, 3.01 ...or at least it prints that version at boot. Do you have modern versions of Flex or OS-9 already dumped? My FLEX is 3.11. OS-9 L1 is the same version as you. You can refer to F-BASIC and other OS versions and screenshots on the following page. ようこそ malikto999 san, I didn't realize at first moment you were japanese, I am sorry not to was aware, anyway, Thank You very much for all your contributions, time and knowledge. It's really appreciated. Since we started retrowiki.es, we have always taken very present the Fujitsu FM-7 and its Spanish counterpart, the Secoinsa FM-7, since it is the same machine. With the knowledge and efforts of pser1, We have made many progress and all results very interesting, taking advantage of the 6809 and the 6309, we are learning and having fun. I know very well the page you pointed me out; but sadly it doesn't have any download links of none of the portrayed operating systems . So, do you have a disk image of your Flex 3.11 that you can share? So, when I called BASIC09, as the exe directory by default is cmds, the internal BASIC09 was executed and worked well. jltursan escribió: I know very well the page you pointed me out; but sadly it doesn't have any download links of none of the portrayed operating systems . So, do you have a disk image of your Flex 3.11 that you can share? Because there is a time limit, please be careful. ron escribió: ようこそ malikto999 san, I didn't realize at first moment you were japanese, I am sorry not to was aware, anyway, Thank You very much for all your contributions, time and knowledge. It's really appreciated. I am also thankful to you. I can talk about FM-7 and am fun. I've been testing XM7 version until finding one with the option to insert wait states to floppy accesses. Your Flex image boots fine although I can't check what's inside, seems empty. When I execute "DIR 0" I only get "Not Found"; but I can clearly see other executables inside the .D77 image. I really need to find the way to dump my copy. The only weird thing I've found with my Flex 3.01 is that after some disk operations (remember that I'm doing this with a FM77AV and a 5.25" drive connected to it) it fails with "DRIVES NOT READY" and drives stop responding , maybe 3.01 is too old to work reliably with such Fujitsu model? Since I used to live near Asakusa long ago, I often went to Kappabashi. jltursan escribió: I've been testing XM7 version until finding one with the option to insert wait states to floppy accesses. Your Flex image boots fine although I can't check what's inside, seems empty. When I execute "DIR 0" I only get "Not Found"; but I can clearly see other executables inside the .D77 image. This FLEX has no DIR command. So, to see the directory list, please use CAT or DSP command. The difference in image size is due to the gap between the tracks.There is no problem as D88 file format. When creating a new disk with XM7, setting the F-BASIC user disk unchecked will result in a size of 473,776 bytes. Does FLEX 3.01 boot on the FM-7 and 5.25" drive? I didn't hink of DSP or CAT commands, I only tried with DIR, my 3.01 has this command! 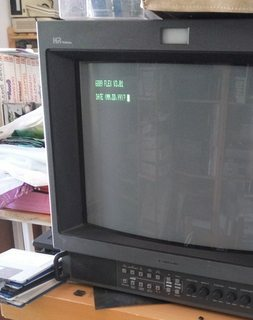 Does FLEX 3.01 boot on the FM-7 and 5.25" drive?. If you have time, can you run the following program? Please boot F-BASIC with FM77AV, set the FLEX disk in the 5.25 '' drive and execute it. It might be possible to copy the disk to a 3.5 inch drive in sector units. The only one that remains undumped is the Ada Soft Disk Copier that seems protected. FLEX 3.01 is really interesting. Looking at the directory list, there are no FM series specific files (FLEXFM8.SYS, FLEXFM7.SYS). I think there is a possibility that this is a port of general purpose FLEX. I did not know the COMSOL compiler. Looking at the credits written on the source, it seems to be a compiler released by ASCII in Japan. I a getting angry with myself, damn it! I am unable to boot / start FLEX301 nor can I boot FLEX311, so I must be doing something really wrong! I have tried both disks on XM7 emulating a std FM-7 choosing "Files / Basic mode"
and later choosing "Files / DOS mode", none of them show a bit on the screen after pressing "F12" or "Alt+F12"
What is the exact procedure I should apply to get it started?